Herbs have been used as seasoning and medicine as far back as prehistoric times. Grown primarily for their aromatic and flavorful foliage, most herbs produce small, insignificant flowers. A number of herbs in different genera produce plants will varying degrees of licorice-like flavor, from strong to relatively subtle. A dainty annual with finely cut, serrated leaves, anise (Pimpinella anisum) produces umbella-shaped white flowers on plants that grow from 1 to 2 feet high. Although the leaves, with their slight licorice taste, can be used as a garnish or in salads, anise is primarily grown for its strong licorice-flavored seeds. 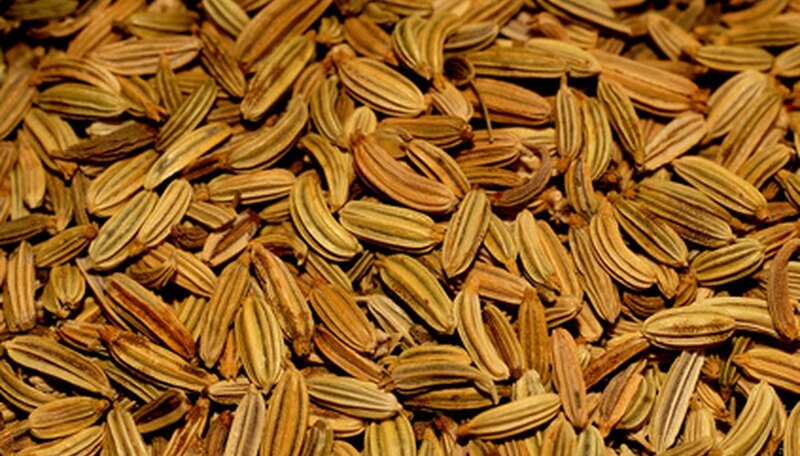 The seeds are used to flavor cakes, cookies and other sweet treats, as well as for flavoring the alcoholic beverages anisette and arak. Oil extracted from anise seeds is used medicinally as an antiseptic, expectorant or antispasmodic, according to Purdue University. Resembling parsley with more finely cut leaves, chervil (Anthriscus cerefolium) has a mild licorice-like flavor. It produces dainty white umbella-shaped flowers in early summer on plants that can reach 2 feet high under ideal conditions. Chervil is best used to season egg dishes, cheese souffles and soups. It is often included in mesclun mixes as a component of leafy green salads. Along with basil, chives and tarragon, chervil is part of the French seasoning known as “fines herbes.” Medicinally, chervil is used as a stimulant, a diuretic and to lower blood pressure. One of the most popular and widely used culinary herbs, according to West Virginia University Extension, basil (Ocimum basilicum) is available in dozens of varieties. One such variety is Licorice basil, which has a more pronounced licorice flavor than other basil varieties. It is widely used as a seasoning along with tomatoes and is the key ingredient in pesto, an Italian concoction used to flavor everything from soups to meats to pasta. Its small white flowers grow on spikes that are held well above the foliage. Basil has been used medicinally for the relief of headaches, coughs, warts, worms, diarrhea and conversely, constipation.